Mark O’Leary OAM is the Founder and Director of Young Voices of Melbourne, a youth choral organisation consisting of six choirs for singers from six to 30 years of age. He is also Principal guest Conductor of Gondwana Voices, Australia’s national children’s choir, the proprietor of Mark O’Leary Music Publishing and the creator of the Sight Singing School books and website. Mark O’Leary graduated top of his year from the University of Melbourne with a Bachelor of Music degree in 1983. During his time at the university Mark was awarded many prizes including the Ormond Entrance Exhibition, (1980) awarded by the University of Melbourne to the student placed first on the Faculty of Music’s selection quota for entrance to first year and the Catherine Grace McWilliam Prize, (1983) awarded annually to the student who, in the opinion of the Faculty of Music, is the best student in the final year of the course for the B.Mus. Degree. In 1985 he was awarded a Commonwealth Postgraduate Research Award, and since then has completed a Master of Music degree, passed with honours, and a Bachelor of Music Education degree. Mark’s research was in creating a Kodály-based flute method for young children. He has also studied conducting with Robert Rosen as a private student and was the recipient of a Churchill Fellowship in 1989. This fellowship took him to England, Hungary, Finland, Canada and the U.S.A to study outstanding children’s choirs. On his return from this study tour Mark founded Young Voices of Melbourne in 1990. Under Mark’s direction, Young Voices of Melbourne has established itself as one of Australia’s foremost choral organisations, comprising three training choirs for primary age singers, a secondary age treble performance choir, YVMen for boys with changed and changing voices and Exaudi for young adults singers. YVM choirs perform in their own series of concerts as well as appearing at many others in and around Melbourne. YVM choirs have performed live on ABC Radio on several occasions and have performed live on national television. Young Voices of Melbourne has also toured all states and territories of Australia and made eleven international tours to Europe, South Africa, North America, Singapore, Thailand, Samoa, Malaysia, New Zealand and Japan. Young Voices has produced ten CD recordings, has collaborated on recordings with many other artists. Mark is the proprietor of Mark O’Leary Music Publishing which currently has 125 choral titles in print by Australian composers in the Young Voices of Melbourne Choral Series. This repertoire is widely performed within Australia and overseas. In 2012 Mark released the Sight Singing School books and website, which is now used in more than 40 countries, as well as many schools and choirs in Australia. Mark is Principal Guest Conductor of Gondwana Voices Australia’s national children’s choir, working alongside the choir’s Artistic Director Lyn Williams. He has attended most Gondwana National Choral Schools since Gondwana started in 1997 and conducted on three of the choir’s Cd recordings. Mark has toured Queensland, Victoria, the USA, Europe, China and Taiwan with Gondwana Voices. 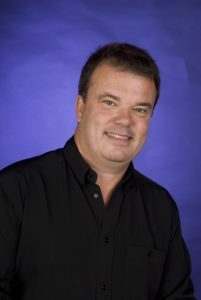 Mark has served continously on the committee of the Victorian Branch of the Kodaly Music Education Institute of Australia since the early 1980s, and has been President of the committee since 2006. He has co-ordinated KMEIA’s biennial choral festivals since 1993, convened the annual Autumn Seminar since it started in 2006, and been on the organising committee for the last three KMEIA National conferences held in Melbourne. In 2009 Mark was given an Outstanding Professional Service Award by the Council of Professional Teaching Associations of Victoria for his work with the Kodaly Music Education Institute of Australia. Mark regularly presents lectures and workshops on the training of young choirs for many organisations throughout Australia. Since 1995 he has presented more than 150 full day choral workshops for conductors in Hobart, Devonport, Canberra, Adelaide, Sydney, Brisbane, Perth, Darwin, Alice Springs, Bundaberg, Rockhampton, Mackay, Townsville, Cairns, Melbourne, Albury, Geelong, Terang, Bendigo, Ballarat, Sale, Swan Hill, Hamilton, Bathurst, Newcastle, Port Macquarie and Lismore. Mark has been actively involved in organizing conference on choral music and music education for many years, and has also presented workshops and conference sessions for many organizations including The Australian Society for Music Education (Hobart, Brisbane and Perth), The International Society for Music Education (Canberra, Helsinki, Pretoria and Tenerife), The Kodaly Music Education Institute of Australia (Brisbane, Mackay, Adelaide, Canberra, Melbourne, Bendigo, Hamilton, Geelong, Albury and Castlemaine), Festival of Voices (Hobart), Gorgeous Voices Festival (Bendigo), Choral Association of Australia (Perth/Bunbury) and the Australian National Choral Association (Melbourne, Brisbane, Adelaide, Perth, Sydney and Hobart), The Victorian Directorate for School Education and the New South Wales Education Department. In recent years he has been invited to adjudicate at several international choral festivals in Singapore and Indonesia. In 2018 Mark was awarded the Order of Australia for services to education and choral music, and has been very fortunate to be able to make a contribution to his community in these areas.